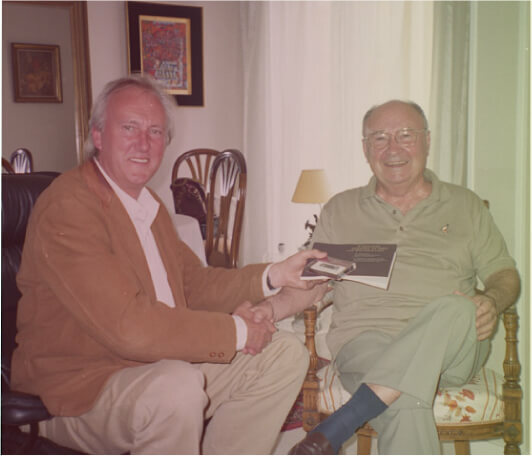 OPCs, Dr. Jack Masquelier’s Mark on Health is the title of the book I wrote about an amazing and revolutionary French scientist. His name was Jack Arthur Masquelier. Professor Masquelier, who died in february 2009, was the first to isolate from plant materials a high performance nutrient that can make the difference between health and sickness, between aging gracefully and premature death. Scientific discoveries that are hardly noticed when they take place, can have enormous effects when they come to fruition in our daily lives. But fruition doesn’t come all by itself. Without belief, dedication, determination and perseverence, we would not have today all the medicines, food supplements, dietary foods, and skin care products, containing the botanical nutrient, now known as OPCs. OPCs are protective plant substances, small clusters, consisting of single units called flavanols. In the human organism, OPCs turned out to be as active and as protective as in the plants from which they are isolated. In retrospect, Masquelier’s isolation of OPCs was a dramatic and revolutionary scientific event. But the continuous exploration of OPCs' manifold beneficial actions and applications in human health, turned the initial event into something that has become extremely relevant for each of us. Masquelier’s OPCs were found to be a high-performance phyto-nutrient, that provides relief in practically all vascular disorders. 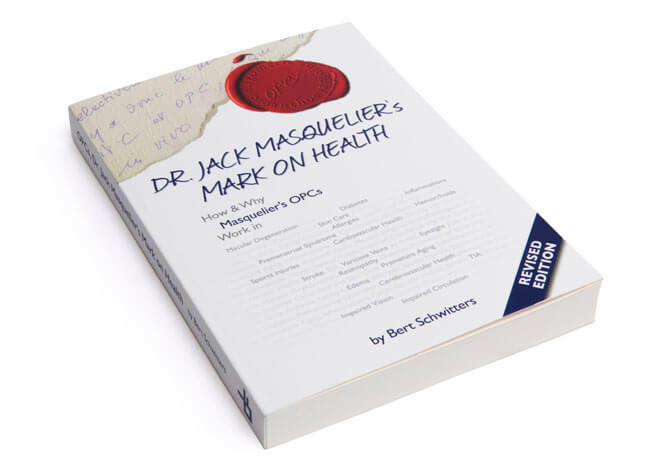 In OPCs, Dr. Jack Masquelier’s Mark on Health, you can read why it is, that OPCs also provide health benefits for connective tissue, for eyes, for joints, for skin and mucous membranes. OPCs are not only your collagen’s friend. They also neutralize free radicals, which are the common cause of many seemingly unrelated conditions. OPCs are strong, versatile and safe antioxidants. Masquelier’s inventions are extremely significant, now that an unprecedented increase in life expectancy, is accompanied by an equally unprecedented increase in cardiovascular and other degenerative diseases. In western and westernized societies we live much longer now than any of the generations that preceded us. But, when we are capable of living longer, we must not forget the human imperative that demands that people should spend the totality of their lives in good health. This is precisely where OPCs come into play. They provide a means to live not only longer, but also better, so that we may fulfill our lives without being prematurely crippled by the ravages of old age. In English, this means, “One must drink one’s youth, until exhilaration.” Indeed, there is more to anti-aging than taking antioxidants. Unless one drinks one’s youth until exhilaration, all the health gained in later life will be lost. Masquelier discovered OPCs when today’s baby boomers were babies. OPCs were born in the same post-war spirit of freedom, love, adventure, hope and happiness, that laid the foundation for most of that generation. In the truest sense, OPCs are also baby boomers and they have grown, not only in age, but also in potential and relevance. The world has fundamentally changed since their discovery. There are no more unknown continents. There are no undiscovered desert islands. There is no square yard that cannot be inspected by some satellite. We know where the poor people are who starve for no good reason. We know where the rich people are, who die of cancer, for no good reason. When Masquelier, in 1947, in his bare and ill-equipped university lab, held the first grams of OPCs in his hand, he could not have foreseen that more than 60 years later, his “high-performance phytonutrient” would be just as relevant for an American Boomer, as for a child growing up in China. 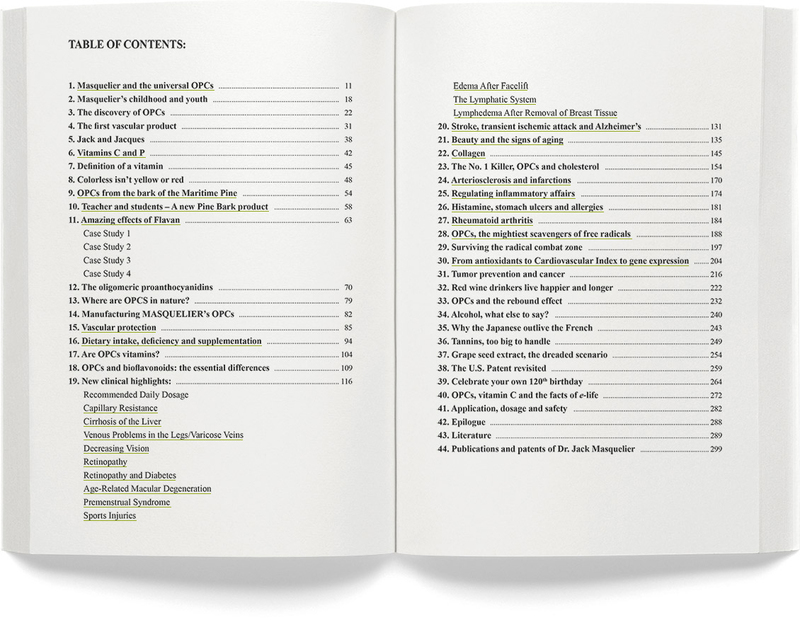 Read about these great discoveries in “OPCs, Dr. Jack Masquelier’s Mark on Health.”.